As a big fan of the 1978 movie, I was skeptical of the Grease Live TV broadcast. It was hard for me to imagine Sandy and Danny played by anyone other than Olivia Newton-John and John Travolta. But “Grease” is one of those cultural touchstones that reach across generations. It was ripe for a remake, and really, why not Julianne Hough, and some guy from Broadway I've never heard of? 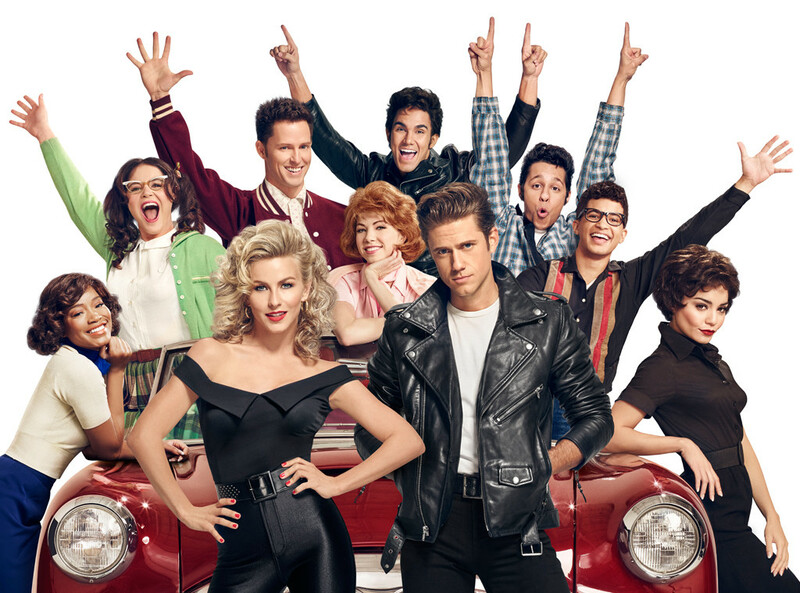 After watching, I have to say that Julianne Hough and Aaron Tveit were a memorable Sandy and Danny, who put their own stamp on the classic roles. Vanessa Hudgens was an awesome Rizzo. It was great to see people of color at Rydell High and that the greasers were willing to listen to a nerd with a good idea. And while the production mirrored the film in many ways, most noticeably with costumes, it was a fresh interpretation that captured what I loved about the original, while lessening something I really didn't. See, it always bugged me that Sandy and Danny's path to Happily Ever After required Sandy to completely change who she was-- and not necessarily for the better. Was Sandy's future as a chain-smoking greaser chick an improvement over the one she likely would have had as a clean-cut good girl? Danny changed too...sort of, but once Sandy slithered out in skintight pants, the letter he earned in track was tossed away. What the final scene seemed to say was this: to find love, a girl must change, even if it means giving up the good things about herself. As my then ten-year-old son commented the first time he saw the movie, "That's not a good message." In the updated version, Sandy is given a character arc and a conflict about being afraid to take a chance and try something new. Her makeover is framed as a response to that-- not as an antidote to being a wholesome good girl. It also felt less like a permanent change, and more like Sandy letting her hair down a bit, something most of us do in high school. Likewise, Danny's track letter is more than just a guise to win Sandy. He's proud of it, and tells the T-birds that while he likes to be with them, he likes doing other things too. Love helped him discover a new side of himself and change as well. The latest take on Sandy and Danny gave us the characters we know and love, who not only change, but change for the better. Just like the movie.